Christmas is quickly approaching and all the drivers are ready to deck their halls with boughs of holly. Among them is Sauber driver Kimi Raikkonen, who is celebrating with his family. Recently, he posted an Instagram story of himself preparing for the festive season. Kimi getting into the Christmas spirit! The brief Instagram story does not showcase much, except for a dimly lit room. It is punctuated by the sound of jingling bells. That is when, Kimi Raikkonen comes out of the room fairly quickly. The Finn is sporting a jumper emblazoned with a picture of a toad in a red sweater. 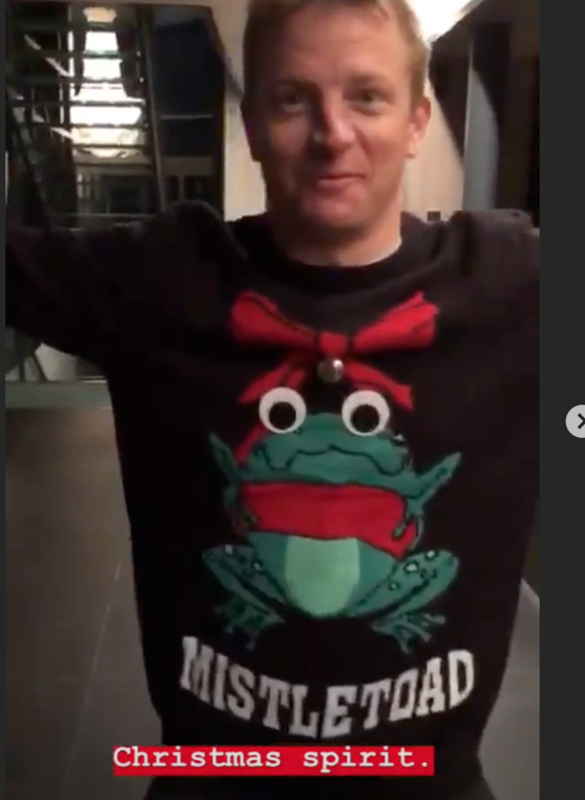 Below the picture is the word ‘Mistletoad’, an obvious play on the word Mistletoe. This isn’t the first time Raikkonen has been involved in something Christmas related on social media. 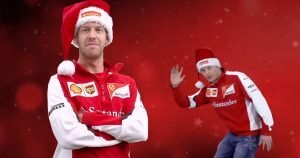 In 2015, the Ferrari drivers were shooting a Christmas advertisement for Santander and Kimi decided to goof off a little. Ever since Raikkonen joined Instagram, fans have been given an absolute treat. Some of his antics on social media have been quite hilarious. 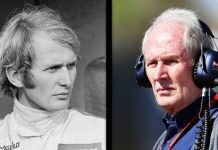 One thing is for sure, when he does eventually retire, he will be sorely missed and Formula One would lose a large chunk of its fanbase. 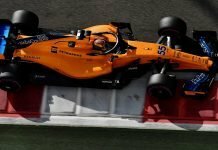 Next articleAlonso to test McLaren’s 2019 F1 car soon?